According to the US military newspaper Stars and Stripes, the two 20-year-old privates, stationed at the Camp Humphreys base near Pyeongtaek, tried to send 9lbs worth of meth using the military’s mail service, hiding the drug inside boxes of cereal. “It’s the largest amount of drugs found coming through the APO [Army Post Office],” senior prosecutor Kang Susanna told the Stars and Stripes by telephone. The scheme was uncovered in December, when a package sent through the Military Postal Service Agency was intercepted by customs at Incheon International Airport after suspicious items were detected on X-ray. The ensuing investigation involved local police, customs, the Pyeongtaek prosecutor’s office, US military police and the American Drug Enforcement Administration (DEA). The methamphetamine, sent from California, had a street value of 13.6 billion South Korean won ($12 million), and could have been used by 130,000 people, the Stars and Stripes reported prosecutors as saying. One of the two soldiers charged is accused of receiving the drugs at his army address, the other of handing the drugs over to a civilian. Only the second soldier is currently being held in custody. 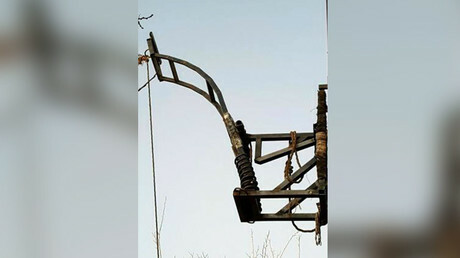 Two South Koreans have also been arrested in connection with the case, and four others are currently wanted. Authorities believe the drug ring was being run out of the Gangnam neighborhood in Seoul, better known for the music video ‘Gangnam Style’ by South Korean rapper Psy, where an earlier raid uncovered a safe holding over 3oz of meth and a smaller amount of cocaine. 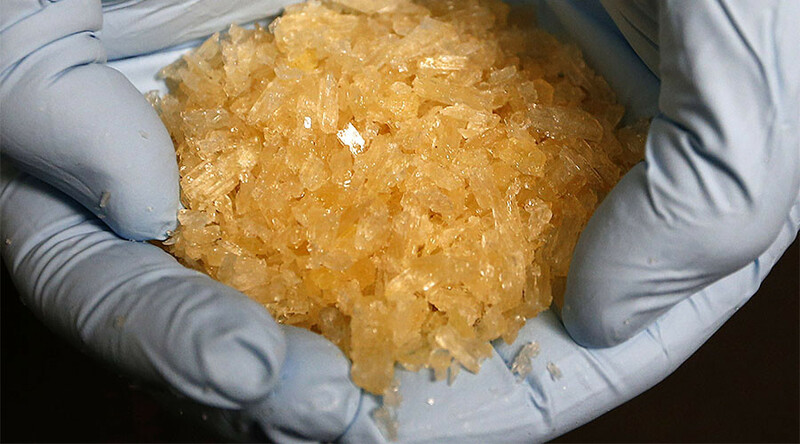 Methamphetamine is one of the most widely used drugs in the Asia-Pacific region, mainly being produced in China as well as rebel-held regions of Myanmar and, allegedly, North Korea. In response to what they believe to be the scourge of illegal drugs, leaders in the region have taken a hardline approach, notably the Philippines’ Rodrigo Duterte. Over 7,000 people have been killed during Duterte’s anti-drug campaign since he took office last year, according to figures from the Philippine National Police.